The Pygmy Date Palm originates from Southern China and its botanical name is Phoenix Roebillini. The Pygmy Date palm belongs to the Phoenix Family, which are known for there beautiful fronds which have sharp needle-like spikes. 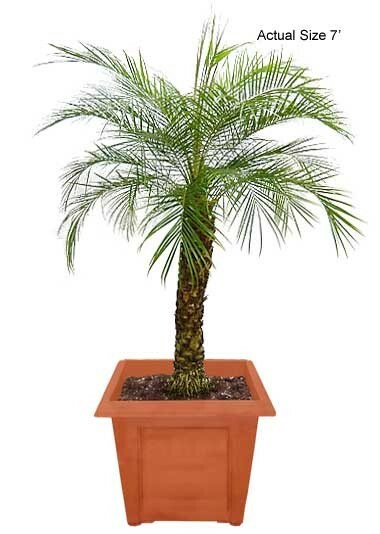 The Pygmy Date palm has been a favorite for indoor potting for decades and has been a staple for outdoor landscaping. When small, the Pygmy Date Palm Tree usually grows in pairs or triplets, and this is due to its ability to develop sucklings. Sucklings develop from the root base of the palm and emerge as a full palm tree. The Pygmy Date Palm Tree grows to a maximum height of ten feet and, as it matures, develops beautiful marks or scars on its trunk. These marks and scars naturally occur from the palm tree losing the old fronds from the trunk. 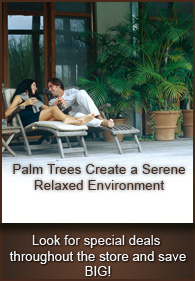 If your looking for an ideal palm tree for an ideal space. Look no further, the Pygmy Date palm has what you’re looking for.